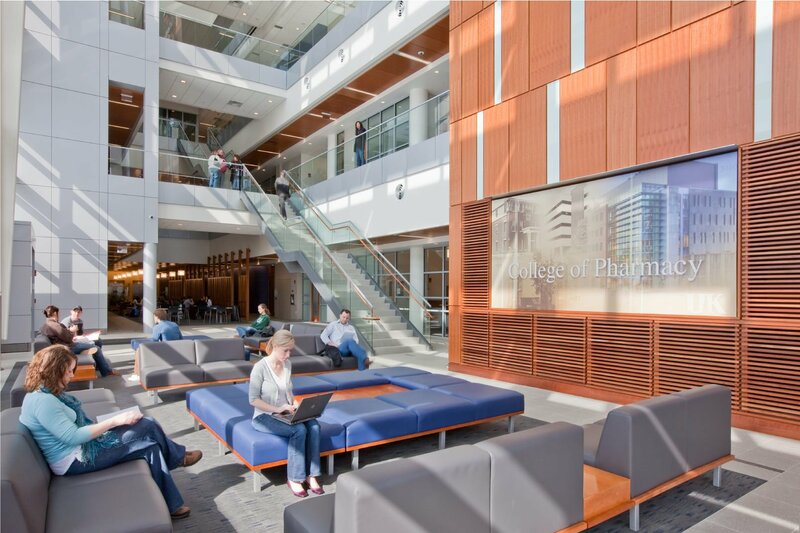 Formerly known as the College of Pharmacy / BioPharm Complex, the academic research facility contains approximately 40% academic & administrative space and 60% research space. Two 220-seat lecture halls, teaching lab suite, patient assessment and interaction suite, and a variety of other classroom types are included. Research facilities include over 120,000 SF of biology, pharmaceutical and chemistry laboratories.